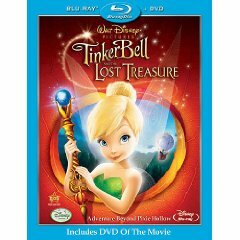 Disney Movie Rewards members can get a Tinker Bell And the Lost Treasure on Disney Blu-ray combo pack $10/1 printable coupon! Just login to your Rewards account and enter code gift, then click on the banner to print your coupon. 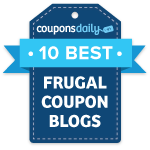 Make sure to hit your browser back button to print a total of 2 coupons. Don’t forget that you can stack the $5/1 Blu-ray Target coupon with the $10 coupon for a total of $15 off! Hopefully this combo pack will go on sale for $19.99, like some of the other Blu-ray combo packs have. If it does, then you’ll only pay $4.99! Also, don’t forget about the $5 rebate you can get from Kernel Season’s. Just purchase 2 Kernel Season’s products and the Tinker Bell Blu-ray combo pack! Final price after the rebate (if you can find the Blu-ray combo pack on sale for $19.99 at Target): FREE!